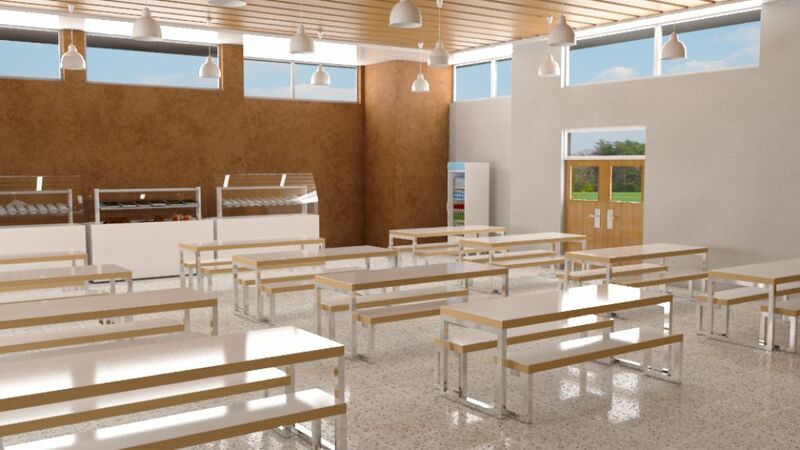 A raw finish incorporated in a sleek, functional design ideal for cafes and school dining. 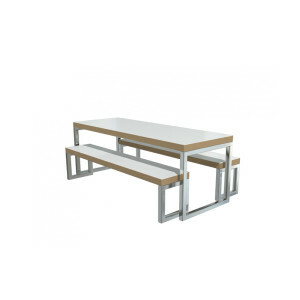 Fully welded table and bench set. 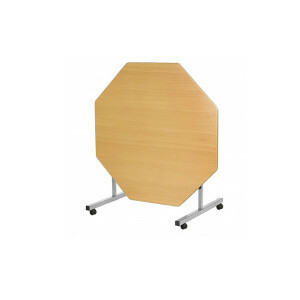 Our Standard Tilt Top tables are just the job for regular but occasional use such as in dining rooms. They are easy to open and close then wheel away. Supplied with our Duraform speckled light grey frame as standard. 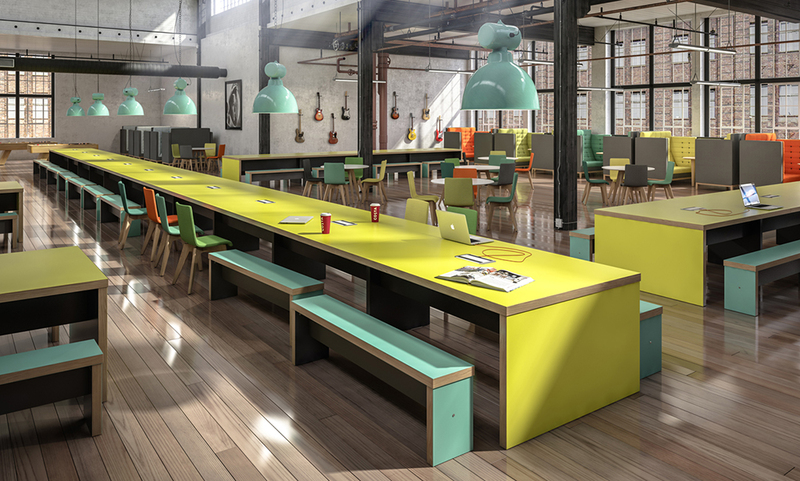 Each table come with an MDF polished and lacquered edge for the traditional school dining room finish. 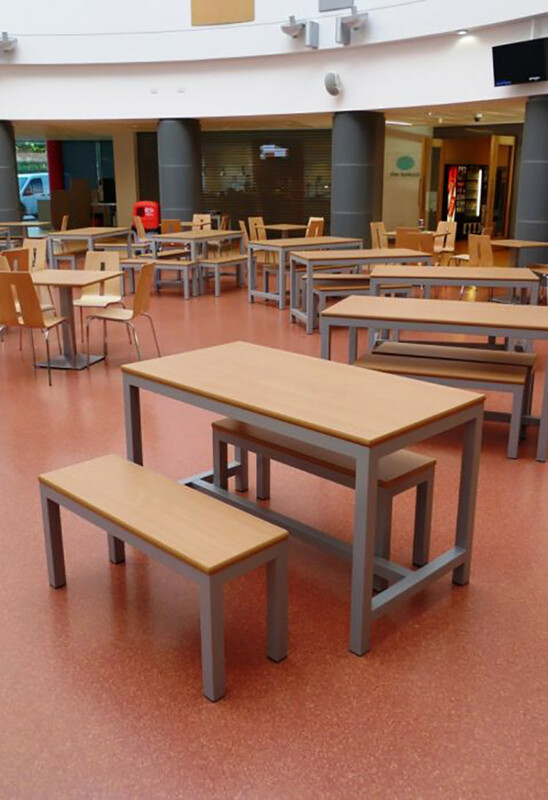 Our dedicated product development team have worked hard to improve our long standing Tilt tables, and with a few tweaks we are now proud to relaunch this classic range. 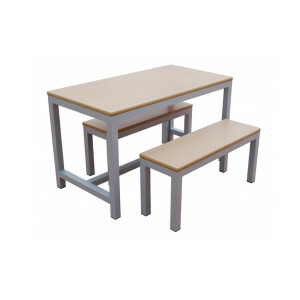 Design alterations have been made to substantially strengthen these tables, and to provide a more user friendly design. This has resulted in a change to the foot rail from flat sided oval tubing, to a substantially more robust 38mm square tube frame. Now supplied on 4 locking castors with a soft tyre to improve traction on polished floors. The Tilt Top Dining table is now stronger, more robust and easier to maneuver than ever before. *please note the design may vary slightly to the images shown. 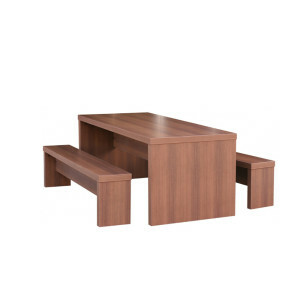 *Square and Octagonal tables also available in 590mm high – please call us to request this option. 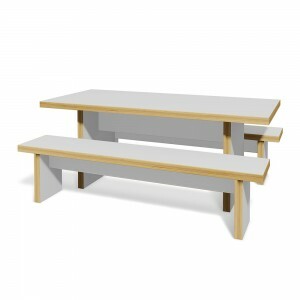 Table and bench set with clean line design that will liven up any dining area. High-capacity seating because of its sturdy benches. The Trestan set will give years of use because of its robust heavy-duty construction, impact-resistant edges and easy-clean surface. 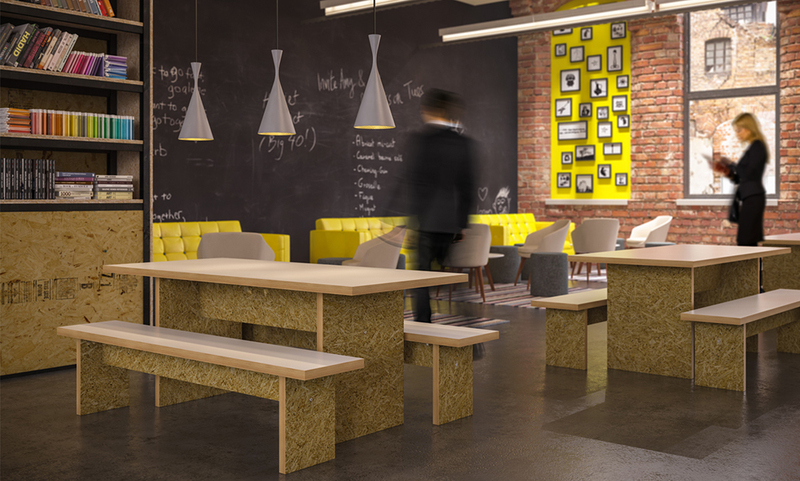 Available in a huge range of popular laminates, including the standard colours beech, white and walnut.